From 1984, when Chuck Hall of 3D Systems Corporation developed the first working 3D printer, the 3D industry has progressed at an unbelievable pace. 3D printing being the process of making three dimensional solid object of any shape from a digital model, achieved by laying successive layers of material in different shapes (termed 'additive process'), by 2012, global market of 3D printers and services was estimated at $2.2 billion. However, according to recent studies the 3D printing market is estimated to be valued at $32.78 billion by 2023, at a Compound Annual Growth Rate (CAGR) of 25.76% between 2017 and 2023. During the past decade, 3D printers have become 100 times faster, but correspondingly price of the cheapest 3D printer came down from $18,000 to $400 during the same period. In the civil sector, 3D printers are being optimized for multiple uses. China has already 3D printed and built a six storey office building. Inclusion of 3D scanning possibilities in mobile phones is being examined, and many shoe companies have started 'printing' shoes. As per one estimate, 10% of almost everything being produced will be 3D printed. 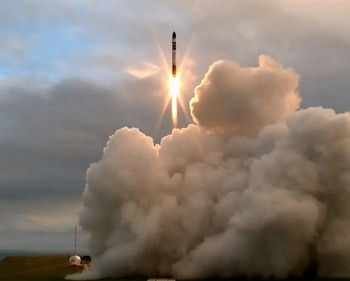 It was reported in these columns in May this year, New Zealand making quantum jump in 3D applications with a 3D rocket launch on May 25; the 'Electron' rocket launched successfully from a private launch site on its territory, making New Zealand 11th country to launch into space. RocketLab, an American-New Zealand aerospace company, broke new ground when its rocket reached space. 'Electron' lifted off from New Zealand's Mahia Peninsula. It was the first orbital-class rocket launched from a private launch site in the world. New Zealand plans two more similar tests this year. Rocket Lab plans to get into orbit with the second test and look to maximize the payload the rocket can carry. On achieving full production, the company expects to launch more than 50 times a year and is regulated to launch up to 120 times a year. In May 2013, 'The Mail' had printed the first plastic gun (named 'Liberator') in UK using a 3D printer at a cost of Pound 1,700, also taking it on board a fully packed Eurostar train on May 10, 2013 without being stopped through tight security. It was 3D printed from designs available on internet comprising 16 parts, with the developing cost being only $25. But the research and development of 3D printing for military products has been ongoing in countries around the world. Typical materials used in 3D printing include metals and plastics, depending upon the application. However, it is the emerging technology combining the potential for 3D printing to transform the chemical industry with innovative materials and formations that holds enormous promise for the military and related logistics. 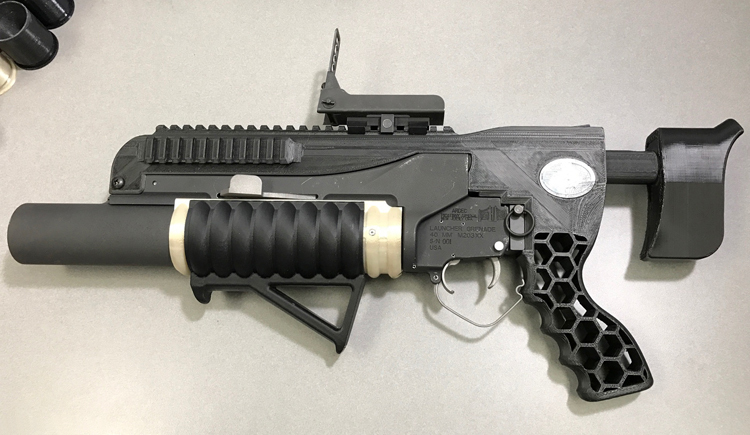 The US Army successfully 3D printed and fired both a grenade launcher and a grenade in May 2017. Since 2014, the US Navy has already installed 3D printing technology on ships to create spare parts for both the ships and for weapons carried onboard. Concurrently, the US Air Force and Marine Corps too are pursuing policies to explore 3D printing for use in respective service. Soldiers trained as technicians in 3D printing have been able to produce customized parts for unique situations or individuals. So, the US military is investing heavily in 3D printing for military applications. 3D printing has the potential to make military equipment faster and with less cost than other processes. Simultaneously weight can be saved on the final part and this part can be designed in novel ways. 3D printing accelerates product development, saves money on getting new things made and lets one integrate functionality, parts and assembly. Even more relevant is the fact that guns, aircraft parts, missiles, drones and other military equipment have either already been developed or are being developed using 3D printing. It must be acknowledged that investments in 3D printing has military applications both at strategic levels, besides having potential in the global arms race. In India, the 3D industry is at nascent stage but it is high time our military, MoD and the industry (both governmental and private in conjunction strategic partnerships) focus on the military applications of 3D printing, evolve a policy for the same and chalk out a road map.